The latest version has been 'On Test' for about a week now and seems fairly stable. - <version>_original is the original, unmodified (locked) build as extracted. - <version>_unlocked is the basic unlocked build. The only changes to this have been to restore local telnet access. - <version>_webgui is identical to the unlocked build above with the web interface restored. - Tools and Patches subdirectory containing Asbokid's tools rebuilt for x86 (32bit) architecture and the 'patch set' needed to recreate the unlocked firmwares. - GPL Sourcecode subdirectory containing the current versions of the obvious. The B028SP10 Variations subdirectory contains the B028SP10 sourcecode released by BT and Huawei in September 2011. These are substantially different from each other and the current release. Reading through some of the older threads I'd missed while I was otherwise occupied, it's fairly obvious that there were simply too many different builds of the last firmware version. This led to confusion over which one to use and more recently, whether the latest update had or would be received. Going forward there will be two builds, and ONLY two builds, for each firmware version as detailed above. These will contain the minimum necessary changes to achieve the specific objective. In all builds, BTAgent will remain untouched and still active. However in builds which include the web interface, it will be neutered by disabling it's VLAN. With hindsight it was probably a mistake to disable or strip BTAgent and the associated config settings in the way I did. I was trying to avoid the proliferation of different versions and this almost certainly led to what I think was a mistake with the patch files. In any case, the best option was to start again from a clean baseline which is what I've done. I've rebuilt the B030SP06 firmwares and there are now only two unlocked versions. Hopefully this should address the issues some people have raised surrounding updates. I'm sorry for all the confusion and I promise I'll try to do better with the next one. Are any of these firmwares optimised for ADSL vs VDSL? 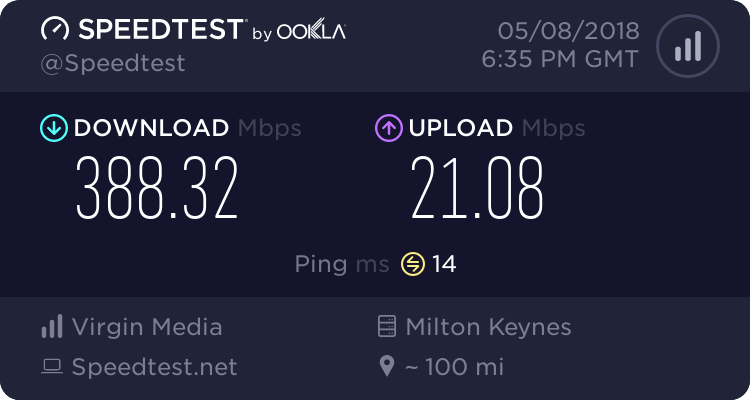 I would assume they're optimised for VDSL2 as Openreach had them customised for their 'Fibre to the Curb' service (BT Infinity, etc). I've certainly not altered anything which might change that. Do you need the Firewall On, if the router (Acus-ac66u) as it on. I usually just disable the modem firewall and use the router one. two firewalls is likely to lead to problems, but personally I would suggest disabling the router firewall and using the modem one, because the closer the firewall is to the point of entry, or 'border gateway' in networking terms, the less potential foothold there is. That said, I have a completely unprotected modem and a dedicated hardware firewall behind it. Which mode is the modem operating in??? It's worth noting that there's no 'direct' access to the modem from the internet when operating in this mode except via BT's VLAN (ptm1.301). The modem firewall only controls local access via LAN2 and probably remote access via BT's VLAN as well. In routed mode with the modem handling pppoe, it becomes the 'point of entry' and it's firewall controls access to everything. If it's not too late & if you are are still fine tuning the GUI firmware, would it be possible to correct the mixed up FEC/HEC/CRC issue in the GUI, ensuring the same values as reported via the xdslcmd info --stats command are displayed? I'm not going to make anymore changes to the current builds before releasing them but I can certainly look into it for you. Whether I'll able to do anything about it is another question. Many of the web interface's 'factual' errors seem to originate somewhere in one of the underlying layers. Can you show me what it should be showing as opposed to what it is actually showing? It muddles up the values, so the correct values are shown (IIRC), but next to the wrong labels if that makes sense. Although I couldn't tell you which way round they should go. If it is just the labels then that should be fairly easy to correct. I will need to know precisely what each value is and what it should be called of course.